What's in it for my team / organisation? –> an interactive distance learning program. For individuals to work smarter (not harder), for teams to improve collaboration and for organisations to improve the ability to collaborate, innovate, to react quicker to change, learn to learn and therefore gain competitive edge. More than a concept or an idea, ANSWoW has been tried, tested and refined over the course of several years together with our Fortune Top100 clients (see these group evaluations). Unlike traditional training programs, the ANSWoW blended learning program has been designed to support you in your personal journey towards A New Smarter Way of Working for a longer period of time. The menu option ‘EXPLORE INTERACTIVE ROADMAP’ will take you to a clickable picture which visualises options in your learning journey (Tip: check the mouse overs in the interactive picture). We start with a Personal Challenges Analysis to make sure you will tackle your most pressing personal challenges and get the most out of the program in working smarter not harder. This can be a classroom training or a number of on line training modules with live trainer interaction. The program consists of a three day or seven on-line training modules which can be supplemented with a selection of Masterclasses followed by Personal Coaching sessions, Open Coffee Export Sessions and short webinars on various subjects (see overview below). So what’s in it for you? That depends on your line of work of course. Below are some examples of what participants shared with us. To explore some group evaluations of the ANSWoW modules, please have a look at this page. Reduce the time needed for meetings and coping with meeting requests and email pressure. 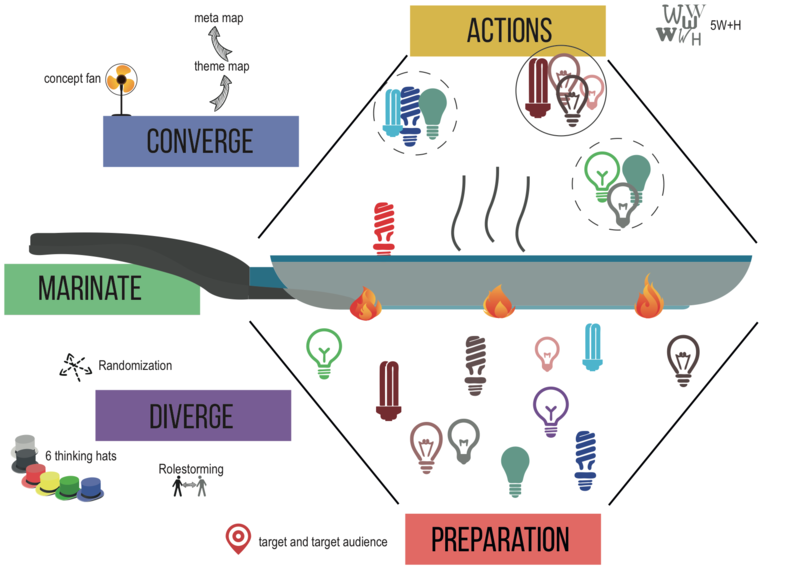 Quickly align with your team and stakeholders using live interactive visualisation. Reduce the amount of time needed to plan prioritise and complete outstanding actions. Use a Project Managent methology (e.g. Prince2) simplified and without the admin workload. Complete more projects in less time within budget using dashboards, Agile principles and visual mapping. Quickly gain overview and insight while coping with the information overload. Simply create a dashboard from existing sources of information and keep an eye on the big picture. Visually align your work with the goals of the team and organisation and stay pro active. Automatically generate stakeholder and progress reports from your personal or team dashboard. Reduce the time needed for meetings, emails and amount of meeting requests. Set-up and maintain a simple and visual overview of all open actions and requests. Use an effective method of staying pro active in planning and prioritising your work. Balance working in focus on bigger tasks while also being available for new requests and questions. Stay of top on incoming request via e-mail or other sources. What’s in it for my team / organisation? The ANSWoW has been designed to increase the competitive edge, learning ability and innovation power of your team and / or organisation (see interactive roadmap). To explore some group evaluations of the ANSWoW modules, please have a look at this page. 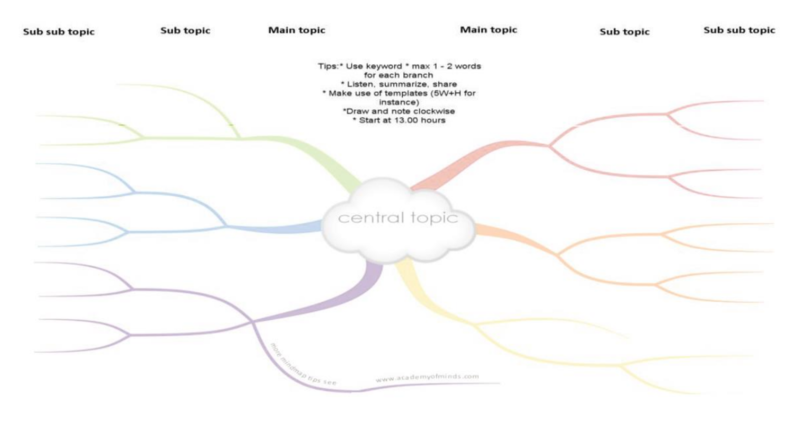 The menu option ‘DISCOVER FREE RESOURCES’ will take you to templates, infographics, mindmap book summaries, video’s. Ask for your client login to get more free stuff. increased response time to internal and external changes (Agility). increased ROI on use of human and intellectual capital (Core Competencies). share our ‘Train The ANSWoW Coach’ program so you will build up knowledge and experience which can directly be applied on a team/Business unit/Departmental level without our help and save costs multiplying the effects of A New Smarter Way of Working . Contact us for references of teams and organisations that are currently travelling along the ANSWoW journey. What does the ANSWoW program look like? Click on any item for more information, also check out our interactive ANSWoW Roadmap. 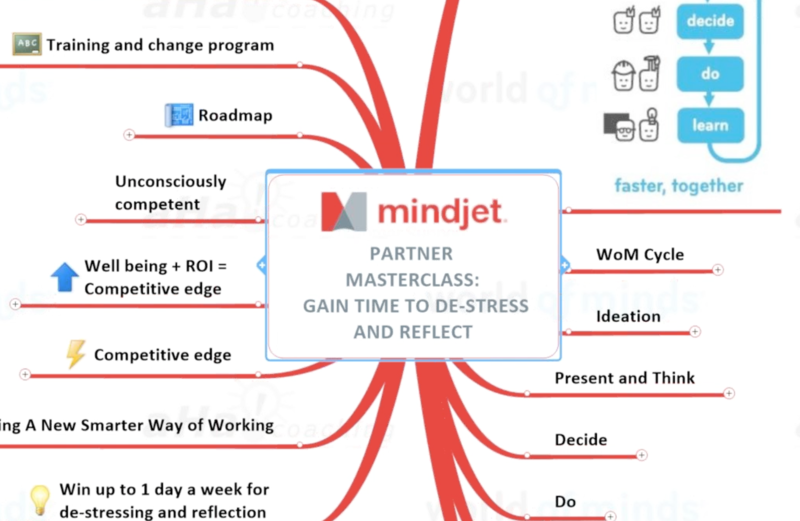 Note; wherever you read MindManager you can replace this by another visualisation tool (XMind, iMind, MindMeister and so on). If you’re curently participating in the ANSWoW program, please login to your tailored support site. If you need assistance with your username and password, please contact the ANSWoW-contact in your organisation or contact us. Learn to work smarter, every day, every week, every quarter and with your team or department! Frequently updated resources for Smarter Working!